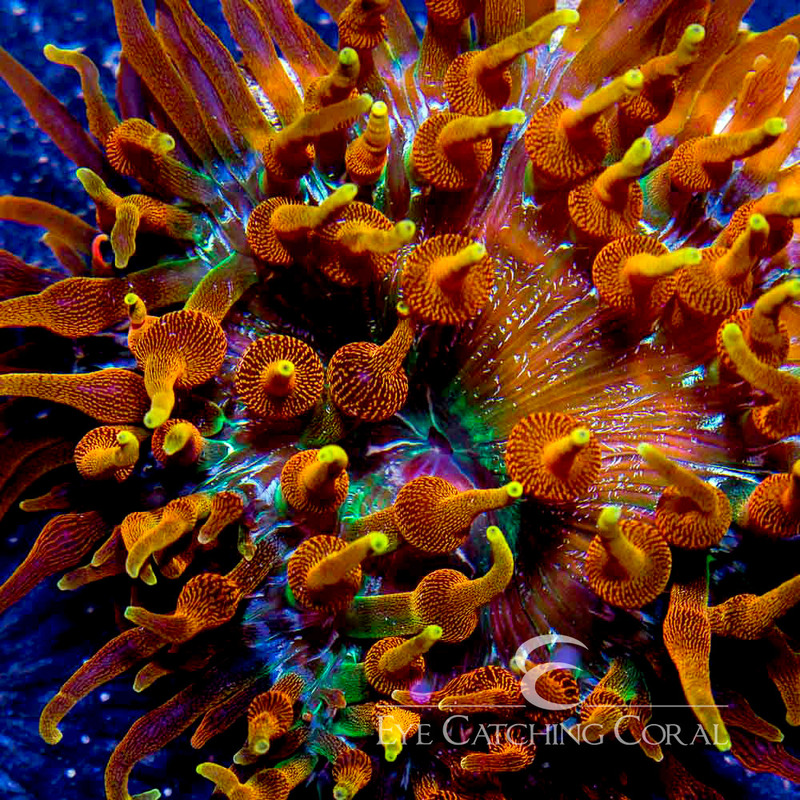 Colorado Sunburst Anemones are some of the most rare and sought after anemones in the industry. They have 3 different color phases (color patterns) with the 3 color phases being red, yellow, and orange. All 3 start with a darker oral disc that is kind of a purple color and that fades into either red, yellow, or orange on the tentacles. One of the key characteristics of Chicago Sunburst Anemones is the electeric green streaking on some of the tentacles. Depending on the specimen there will be more or less green streaking.